Enjoy a satisfying meal at The Wall Street serving guests of Quality Inn. Quench your thirst with your favorite drink at the bar/lounge. A complimentary hot/cold buffet breakfast is included. 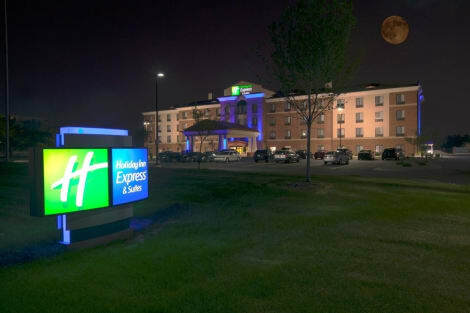 Located in Troy, Hawthorn Suites By Wyndham Troy, MI is within a 15-minute drive of Somerset Collection and Detroit Zoo. 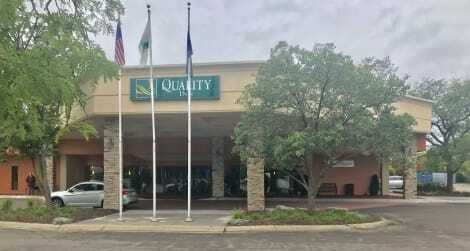 This aparthotel is 1.4 mi (2.3 km) from Troy Historic Village and 5 mi (8.1 km) from Royal Oak Music Theatre. 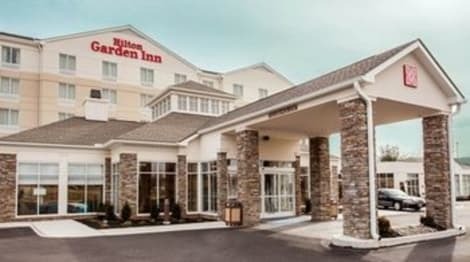 The new Hilton Garden Inn Detroit Troy hotel is located off I-75, just 5 minutes from the Somerset Collection luxury mall. Our central location is a quick walk to several restaurants and only 5 miles from Raytheon and Delphi offices. Here with family? Enjoy a day at the Detroit Zoo or the Troy Museum and Historical Village - both within 10 miles of our Troy, MI hotel. Reach downtown Detroit in 25 minutes.Start your morning at The Garden Grille, serving freshly prepared breakfast. Return for dinner or an evening cocktail, or order room service any night of the week. The 24-hour Pavilion Pantry® has your favorite snacks, drinks and travel essentials. Work out in the complimentary fitness center, or take a relaxing swim in the heated indoor pool. Our hotel in Troy has a 24-hour Business Center as well as divisible meeting space - perfect for a catered banquet for 140 guests or a conference for 300 guests. Featured amenities include complimentary wired Internet access, a business center, and complimentary newspapers in the lobby. Planning an event in Troy? This hotel has 1356 square feet (126 square meters) of space consisting of conference space and a meeting room. Free self parking is available onsite. When you stay at Somerset Inn in Troy, you'll be in the business district, within a 15-minute drive of Somerset Collection and Detroit Zoo. This hotel is 17.5 mi (28.2 km) from Great Lakes Crossing Outlets and 2.9 mi (4.6 km) from Troy Historic Village. 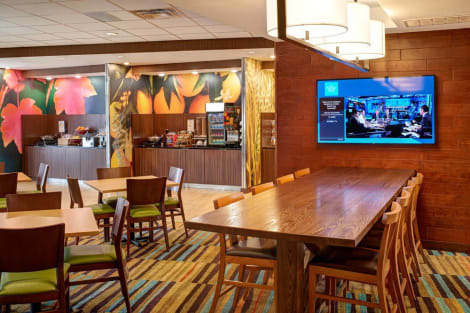 Grab a bite from the snack bar/deli serving guests of Holiday Inn Express & Suites Detroit North - Troy. A complimentary continental breakfast is served daily. Make yourself at home in one of the 90 air-conditioned rooms featuring refrigerators and microwaves. 32-inch Smart televisions with premium TV channels provide entertainment, while complimentary wireless Internet access keeps you connected. Conveniences include desks and complimentary weekday newspapers, as well as phones with free local calls. Take advantage of recreational opportunities offered, including an indoor pool, a spa tub, and a fitness center. Additional features at this hotel include wireless Internet access (surcharge), wedding services, and a television in a common area. Guests can get around on the complimentary shuttle, which operates within 5 mi. Take advantage of recreational opportunities offered, including an indoor pool, a spa tub, and a fitness center. This hotel also features concierge services, gift shops/newsstands, and wedding services. Guests can get around on the complimentary shuttle, which operates within 5 mi. lastminute.com has a fantastic range of hotels in Troy, with everything from cheap hotels to luxurious five star accommodation available. We like to live up to our last minute name so remember you can book any one of our excellent Troy hotels up until midnight and stay the same night.